Intergalactic Cafes, Inc. closed the Maiden Voyage Cafe and the Satellite Cafe "for the foreseeable future" last fall, much to the disappointment of loyal customers. They said in an announcement that they would be seeking new owners "to pick up where we left off." But now it looks like the foreseeable future may be here! There are coy announcements on the Facebook page ("returning to orbit soon!") 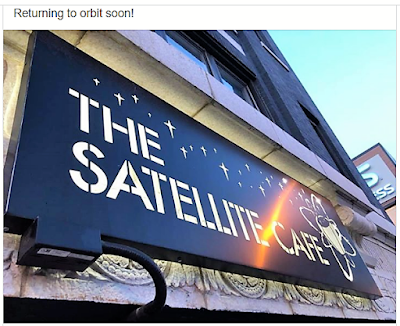 and on the storefront of the Satellite Cafe ("reopening soon") that say our favorite sandwich shop will be making a comeback. 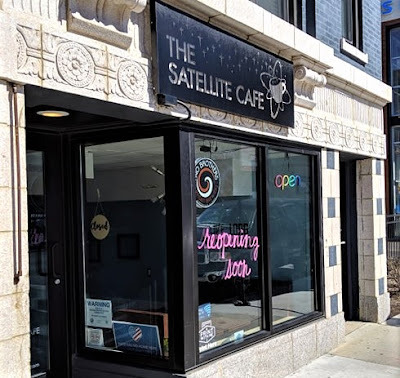 No word on the Maiden Voyage Cafe, which had a store fixture sale in February -- but the Satellite Cafe at 942 West Montrose looks like it's the place to keep an eye on. We'll post when we know more. 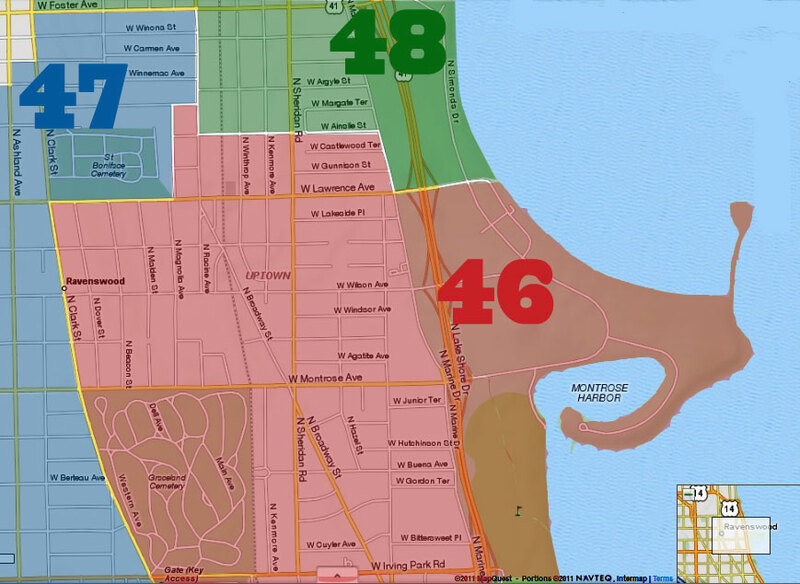 Is Maiden Voyage on Montrose and Paulina?